Rose Byrne attends the photo call for Columbia Pictures' 'Peter Rabbit' at The London Hotel on February 2, 2018 in West Hollywood, California. Rose Byrne finished off her ultra-feminine look with a pair of black lace pumps. 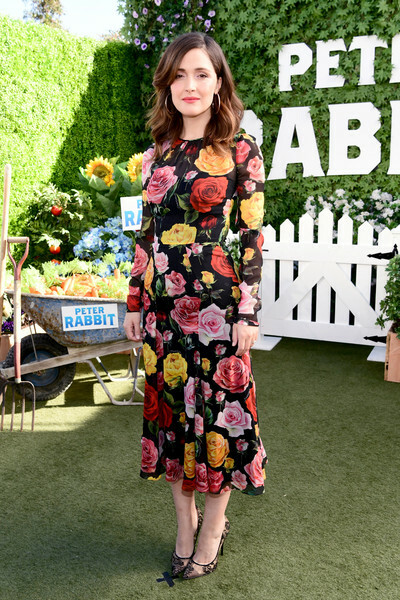 Rose Byrne was all abloom at the photocall for 'Peter Rabbit' in this Dolce & Gabbana midi dress that featured a bold floral print.